Oscar Season might be old news, but a smashing caftan is never old hat, which is precisely why the gold caftan Meryl Streep wears in Steven Speilberg’s Pentagon Papers newsroom drama The Post will always be newsworthy. You can do endless “Where Are They Now?” pieces about it, because there’s not a day that goes by when I don’t ask myself that very question about that very caftan. Moreover, now that the New York weather is *allegedly* warming up, it’s time to start thinking about what you’ll wear to the beach. Just kidding! You already know it’s a caftan, because if you’re anything like me, you burn easily and your beach body is more like beach blobby, so why not take a page from the *other* Divine Miss M and work. That. CAFTAN! Speaking of caftans, CTA has been in the news an awful lot lately, so much so that you might say the news has really been flowing…like a caftan! Let’s take a look the latest stories, shall we? First off is an article from the Irish Post, Irish famine memorial in New York reopens after $5 million investment. If this story were a caftan, I imagine it’d be shamrock green with (pot o’) gold embroidery. Since it’s imported all the way from Ireland, you’d probably pay extra, but that’s a price worth paying to sashay about in the sartorial splendor of the luck of the Irish. Meanwhile, New York Real Estate Journal has a new story about our Morningside Gardens refuse area: CTA completes $1.1 million redevelopment/upgrade of 5,650 s/f refuse storage. Were it a caftan, it’d be all black and shiny, like trash-bag eleganza, because at CTA Architects, we design one residential complex’s trash area to be everybody’s treasure. New York Real Estate Journal (or NYREJ, if you’re hip to the abbrevs like the kids are these days) also did a piece on the Irish Hunger Memorial: BPCA, CTA, LiRo and Nicholson & Galloway complete $5.3 million project. Fun fact: if you abbreviated a caftan, you’d have a skirt. World Landscape Architect did their own Irish Hunger Memorial story, Renovation of Irish Hunger Memorial complete, and I find this story exciting because it’s *World* Landscape Architect. Much like the perfect combination of comfort, form, and function that is the caftan, CTA is going global, y’all! And lastly, to paraphrase Dr. Frank N. Furter in Rocky Horror Picture Show, if you want something visual, here’s a brief new NBC 4 New York piece featuring our very own Frank Scanlon: Irish Hunger Memorial opens for St. Patrick’s Day. Frank N. Furter was a huge proponent of pearl necklaces and pink surgical gloves, but alas, not caftans, which is a cruel reminder that nobody is perfect. Well, that’s it for the latest in CTA’s news cycle. When Steven Spielberg makes a movie about it, who do you think will play me? And more importantly, will they wear that caftan?!? And speaking of things that shine bright like a diamond, here’s a piece from Landscape + Urbanism that you’re guaranteed to like so much you will put a ring on it. I normally don’t mix my popstar metaphors so egregiously, but then again, I don’t usually write to my TGIF Spotify playlist either, so I guess today is all about breaking the news and breaking the rules! Well, that’s all for this week’s news that Cary Grant and Rosalind Russell and the fine folks of the internet have broken. CTA news: news that proves that if it is broken, CTA can fix it! The New York Real Estate Journal’s “Daily REcap” newsletter gave a shoutout to our renovation project at STREB. It just began and publications are already spreading the word? That’s some REally exciting REnovation news! You can read the full story about the renovation here. Moving on from the Mid-Atlantic, let’s talk about what’s happening across the Atlantic…in Ireland! Yes, ever since we completed our restoration of the Irish Hunger Memorial, that “C” in CTA could be for “cosmopolitan,” and now we’ve got a write-up on an Irish news site called The Journal to prove it! You can read the story here, and don’t worry: you don’t need a passport to be taken away by this tale! And while we’re visiting, here's one more story from Ireland. This one is an article from the The Connaught Telegraph about none other than CTA’s own Frank Scanlon! What a star! He’s ready for his closeup, Mr. DeMille! 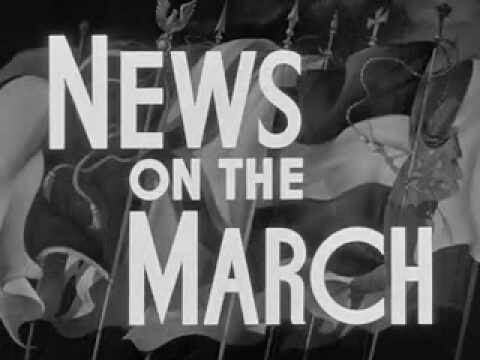 Well, that’s it for this week’s news on the march with CTA, but I’ll be back soon with more CTA news soon! CTA News: the news you can use (to make all of your friends and family jealous about where you work)!